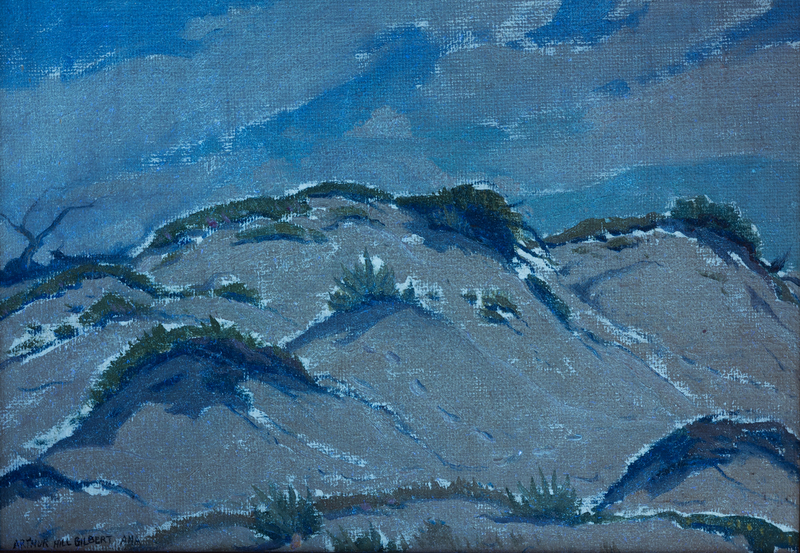 Arthur Hill Gilbert (American/California, 1894-1970) oil on canvas California landscape depicting sand dunes under a blue, cloud-streaked sky. 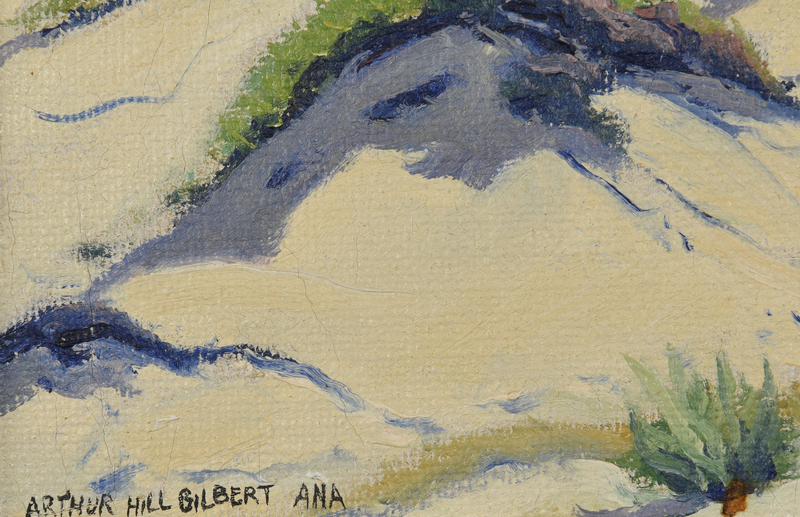 Signed lower left Arthur Gilbert Hill ANA. 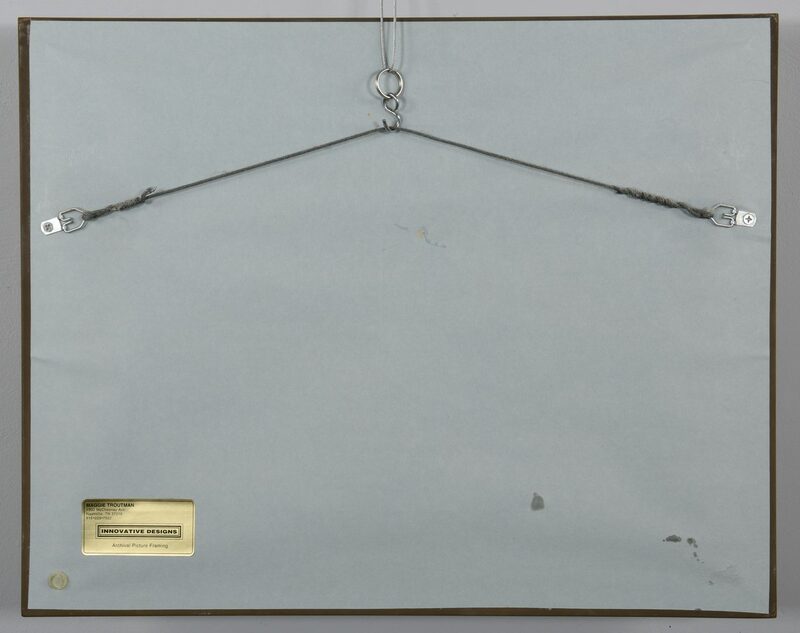 Giltwood frame with ribbon and egg and dart molding. 9 1/2" x 13" sight, 16" x 20" framed. 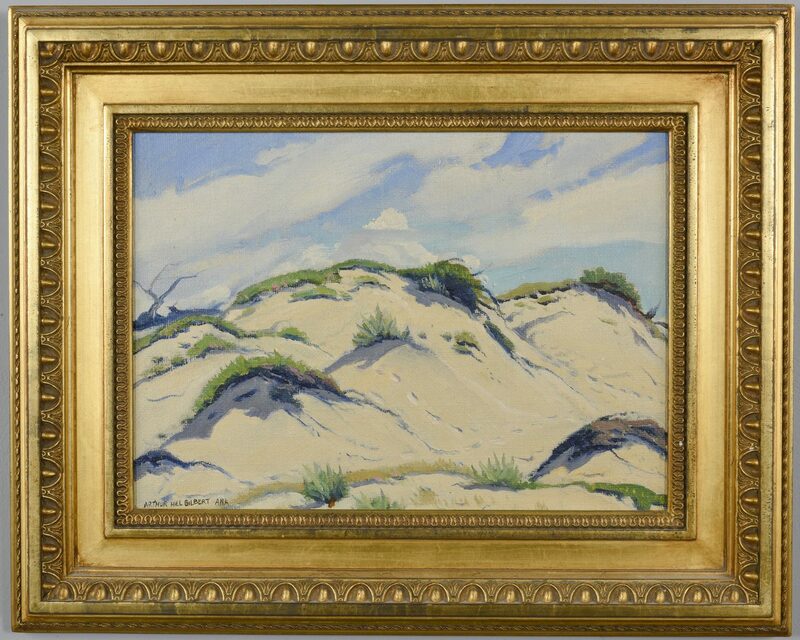 Illinois born Arthur Gilbert was known for his paintings of the Monterey Peninsula. 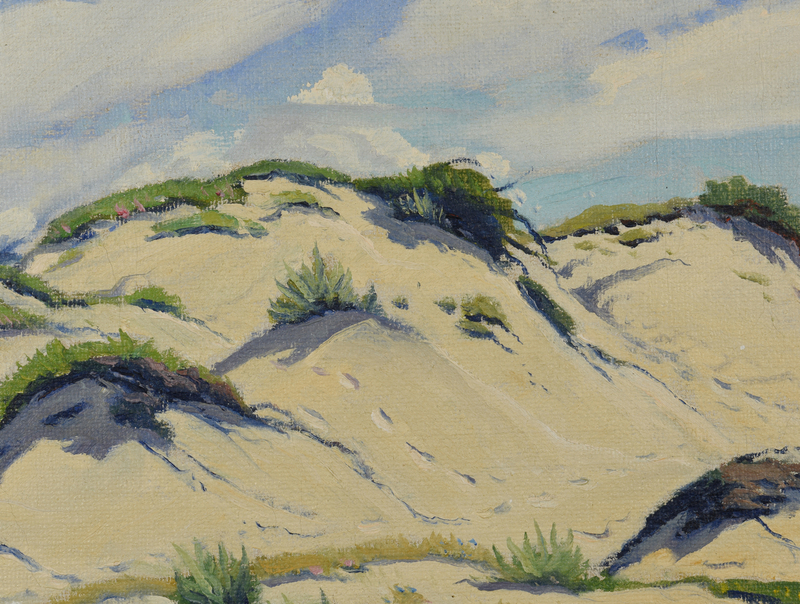 After serving in the Navy as a youth, he moved to Southern California around 1920 and studied in Los Angeles at the Otis Art Institute. He had further training in Paris and London. 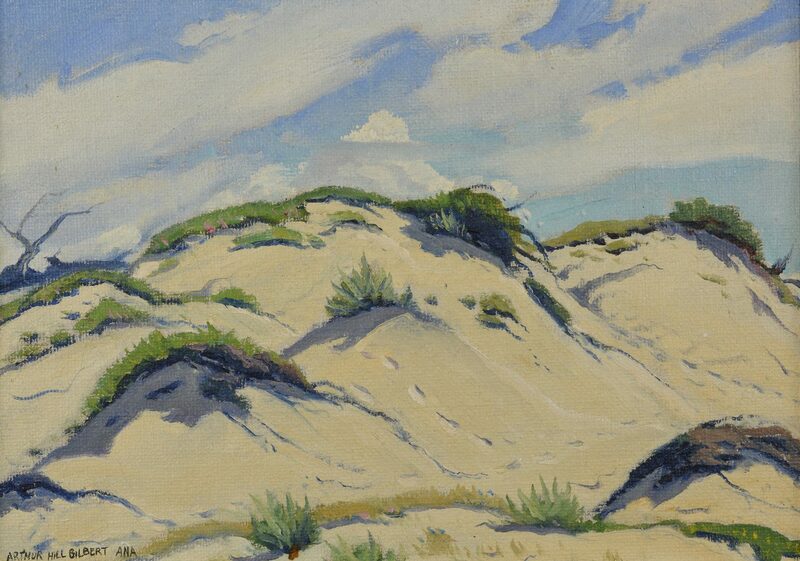 In 1930 he settled in Monterey from where his paintings won many awards in California shows during the 1920s and 1930s. During his later years, Gilbert spent most of his time on his ranch near Stockton, where he died in 1970. Hill was elected an Associate of the National Academy of Design in 1930. 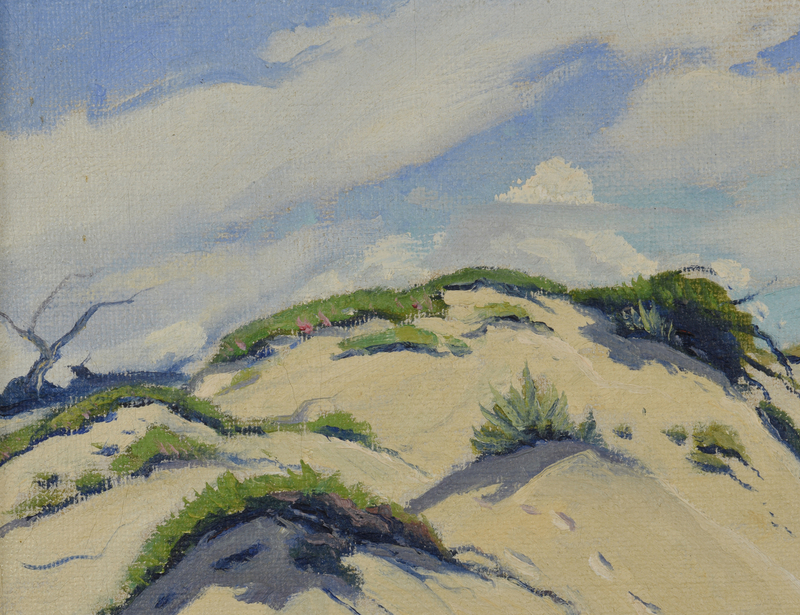 His memberships include the California Art Club, Carmel Art Association, Laguna Beach Art Association, Bohemian Club, San Francisco, and Salmagundi Club, New York. CONDITION: Some scattered light craquelure, a few small minor losses to frame.